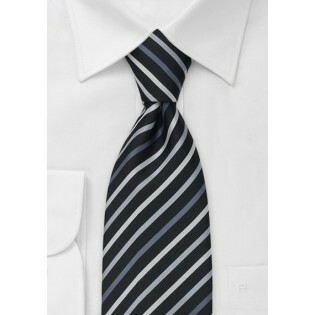 Introduce modern sophistication to your wardrobe with this chic striped tie in black and pewter grey. The diagonal stripes of tonal greys are handwoven into the fabric giving the tie an ideal texture and drape. 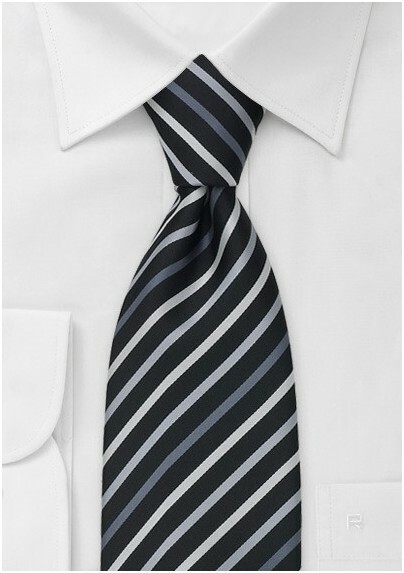 The elegant color combination and the thin stripes make this tie fashion forward and versatile. This tie can be worn to both casual and formal occasions. This tie is made from a high quality microfiber.